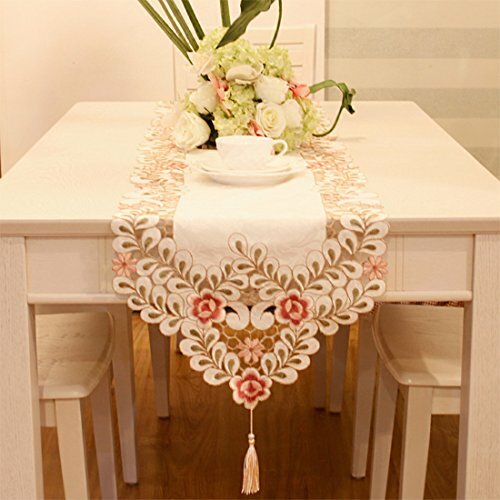 Delicate embroidery and cutwork make a beautiful way to dress up your home, use alone or with coordinating tablecloths and placemats for an elegant display, hand wash, easy machine wash, easy care. There may be a little color difference due to the monitor. Measurement 15.8 x 84.6 inch ( 40 x 215 cm ), the length of tassled ends not included. 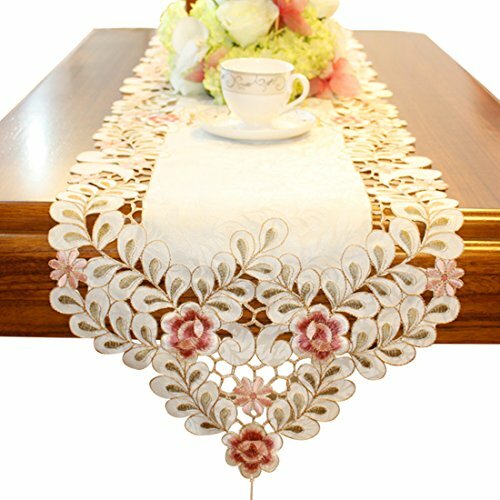 If you have any questions about this product by JH table runner, contact us by completing and submitting the form below. If you are looking for a specif part number, please include it with your message.